It's time for the Square of the Week! Have you been stitching along with us? 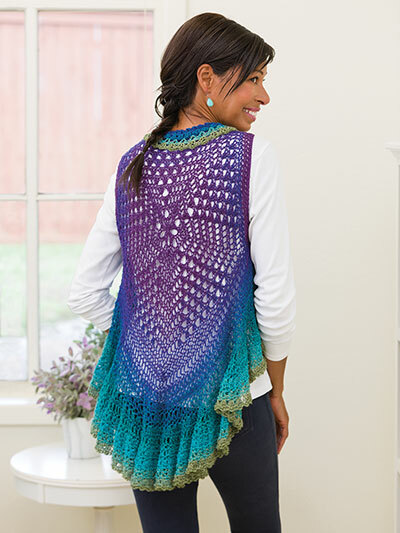 We have so many beautiful knit and crochet patterns to choose from this season. And don't forget that by the end of season nine you will have 13 different squares you can easily whip up into an afghan or pillows. In the fourth episode of season nine it's me again! 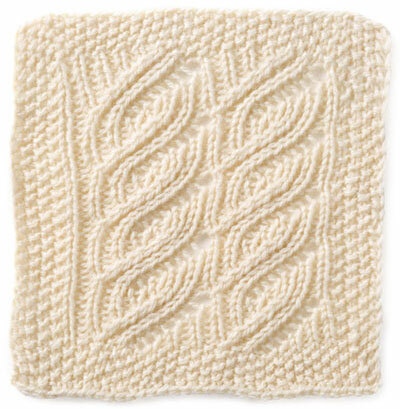 I will be showing you how to work the Knit Lacy Leaves square. 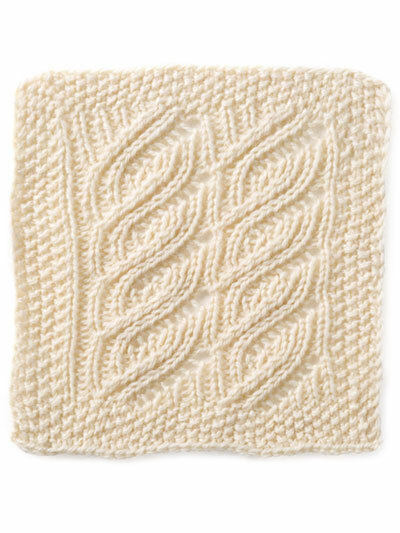 This beautiful square has a seed stitch border and a beautiful ribbed lace pattern that makes gorgeous knitted leaves. I will walk you through all the steps on how to work this lovely lace and you'll have another square for your collection in no time! To learn all the knit and crochet skills you can handle, ALL the episodes of Knit and Crochet Now! are included if you have a subscription to Annie's Creative Studio. Annie's Creative Studio is constantly adding new episodes and content, and brand-new programs are in the works all the time! 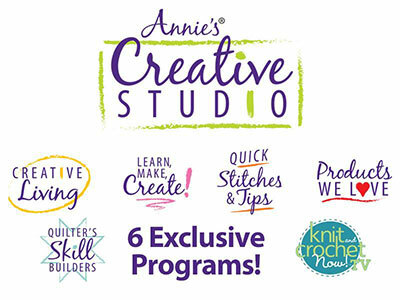 Annie's Creative Studio has crochet and knit programs (but of course! ), but there are also quilting, sewing, beading, cross-stitch and plastic canvas lessons. Plus, there is a ton of great stuff about creative living. If you're like me, you're always up for more creativity in your world! And that's all I have for this Knit and Crochet Now! update! Keep on watching and keep on building your knit and crochet skills. There's always more to learn, and there are always more fun projects to stitch. Don't miss out -- join us for all the fun! Check us out on Instagram and Facebook. your guide to all things Knit and Crochet Now! Corrina Ferguson has over 10 years of knitting experience. She knits and designs in Florida where there are only about three sweater days per year, but she keeps on knitting and dreams of retiring somewhere where it snows. Corrina is a knitting designer, instructor and technical editor, author of Warm Days, Cool Knits and is the editor of Creative Knitting magazine. You'll be thrilled and inspired with exciting NEW crochet patterns, complete step-by-step instructions, full-color photos and all the handy, time-saving tips and techniques in every issue of Crochet! magazine! See for yourself, order today! 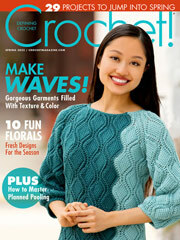 Get a FREE issue of Crochet! just for giving it a try! YES! Please send me my FREE ISSUE of Crochet! magazine and start my subscription. If I like my free issue, I'll simply pay the attached invoice and get one full year (4 more issues) for only $21.97 plus $2.98 delivery. That's one issue FREE and 4 more as part of my subscription! I'll also get a digital edition of each issue at no extra cost, including the free issue, plus two years of digital back issues with my paid subscription! In the unlikely event that I'm not pleased with my free issue, I'll return the invoice marked "cancel" and keep that issue as your gift to me -- and owe absolutely nothing. Offer valid in US only! Canadian orders Give a Gift Subscription!